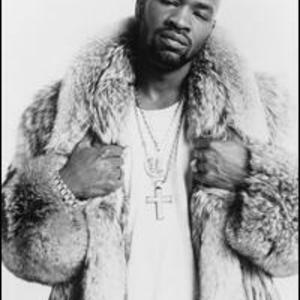 Jeffrey Thompkins (Born in Miami, Florida) known by his stage name JT Money, was the leader of the Miami, Florida Hip-Hop group, Poison Clan. Thompkins was discovered by Luther Campbell in a Miami talent show. Eventually, Luke signed JT Money & Debonaire as the group Poison Clan to his Skyywalker Records. The group eventually disbanded after a dispute with Luke. JT Money is from the Norwood section of Miami. He assisted Luke in his feud with Dr. Dre and Snoop Dogg when they dissed him by rapping the main verses on the diss "Cowards In Compton. JT Money is from the Norwood section of Miami. He assisted Luke in his feud with Dr. Dre and Snoop Dogg when they dissed him by rapping the main verses on the diss "Cowards In Compton." Songs like "Action", "Fire Up This Funk", "The Girl That I Hate", "Don't Sleep On A Hizzo", "Shake What Ya Mama Gave Ya", are some of his more popular titles. JT is the self proclaimed "B-izer", or just call him "J-Baby". JT has been quoted as saying "Today's music and hip hop culture is watered down" and says that he will never change his rhyming style although major labels won't sponsor his music.